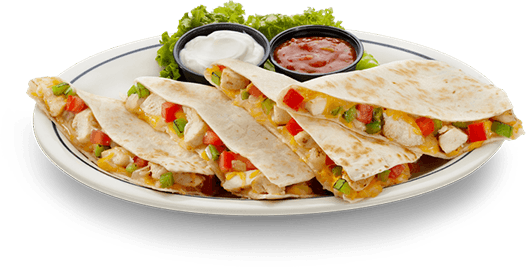 Swiss food delivery is one of the best online food order and take away site in Switzerland. It connects people and the best restaurants together. 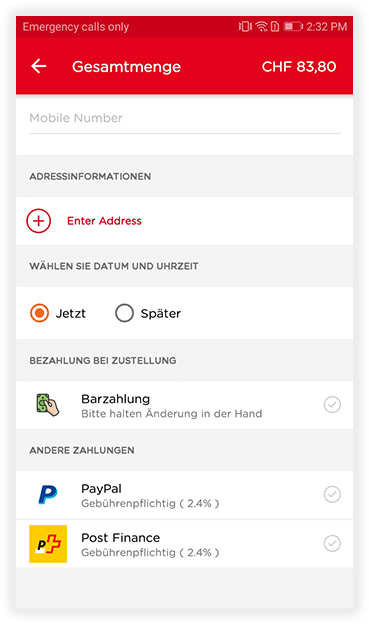 Swiss food delivery has the utmost reach. In today's world, it is an absolute necessity to have online system to increase the profit of the business and to serve effortlessly to customersacross their many stores (while growing quickly!). The first step to expand the sales and to improve business online is nothing but the website. Website is the first piece of marketing communication about organization that client has access to. So it ends up plainly basic that site has the perfect measure of data that one wish to transmit and that data must be displayed in the most respectable approach to inspire your customer who visits it. 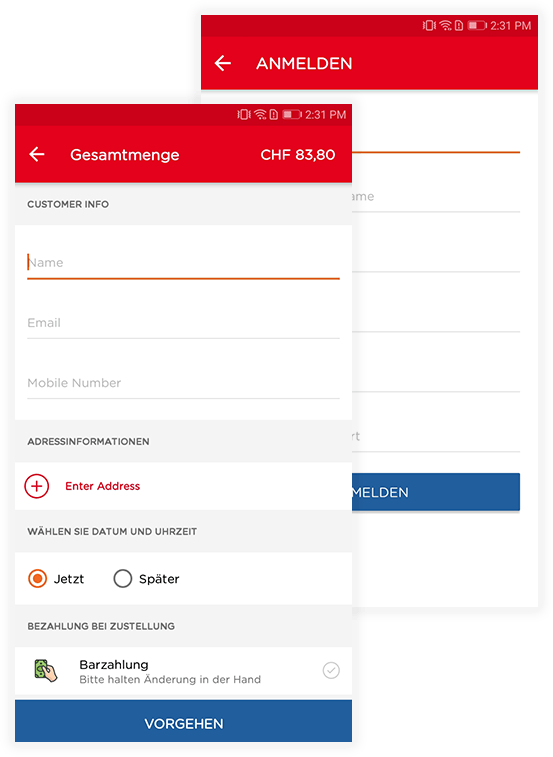 This is precisely what Roamsoft enables Swiss food delivery to accomplish. 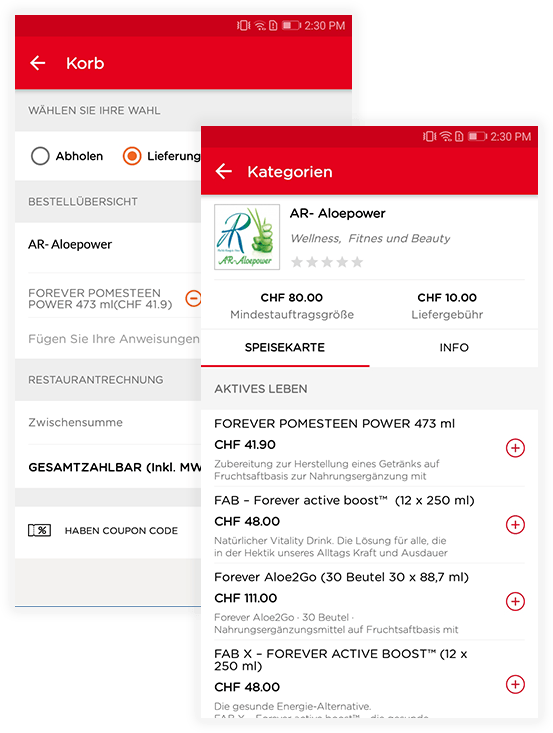 The challenge was that Swiss food delivery already had 4 million customers. So even if only 5% to 15% of this volume moved online, we would have to solve problems at scale. 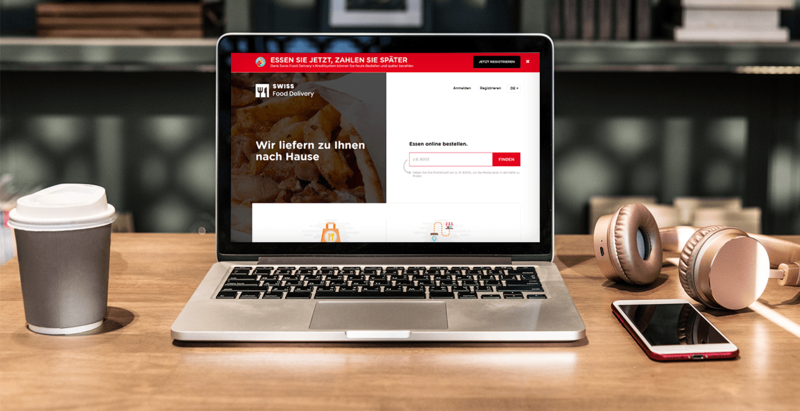 At certain points, up to 1 in every100 Swiss residents are using the food delivery website. We'd need a powerful website that's simple enough for a child to process transactions in minutes. For the most part, the project was executed remotely in our Phnom Penh HQ. This increases communication overhead and complexity, but it is also something that we are well versed with.head and complexity, but it is also something that we are well versed with. We help you design better user interfaces by helping your users to achieve their goals faster and in an efficient manner. 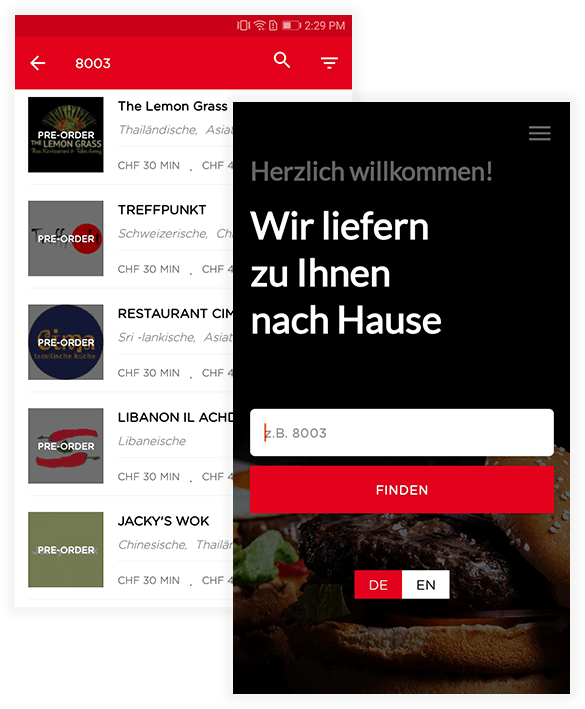 Most of the time, corporate websites fail to impress, Roamsoft made Swiss food delivery to be different. 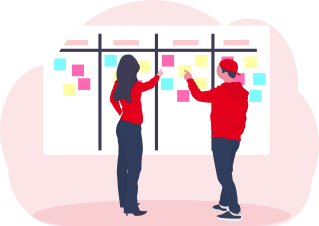 We built a lean multi-disciplinary team of executives, strategists, UI and UX designers, and even developers. Roamsoft build user friendly Online Food ordering system with custom fitted website and application to manage and sell foods online and order processing and delivery. It's simple and managed solution for ordering foods online and user can place order in very simple steps and place the orders. 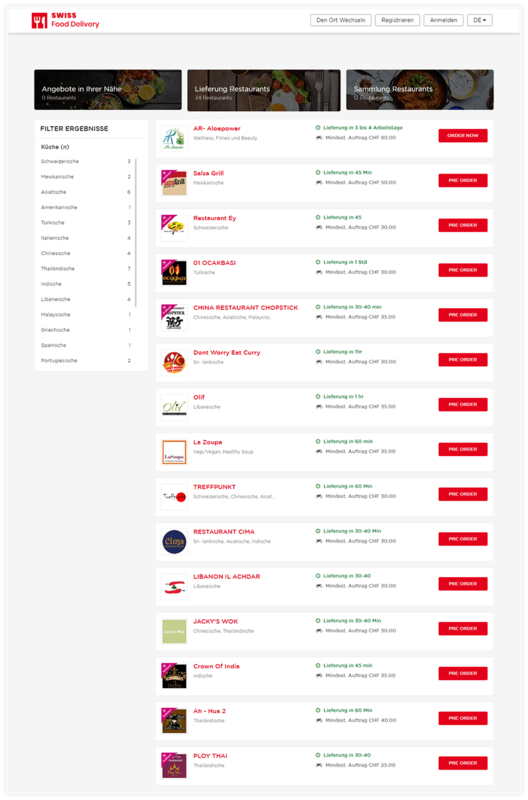 User can filter and search the Restaurants as per nearest location and place order with best suitable restaurants. 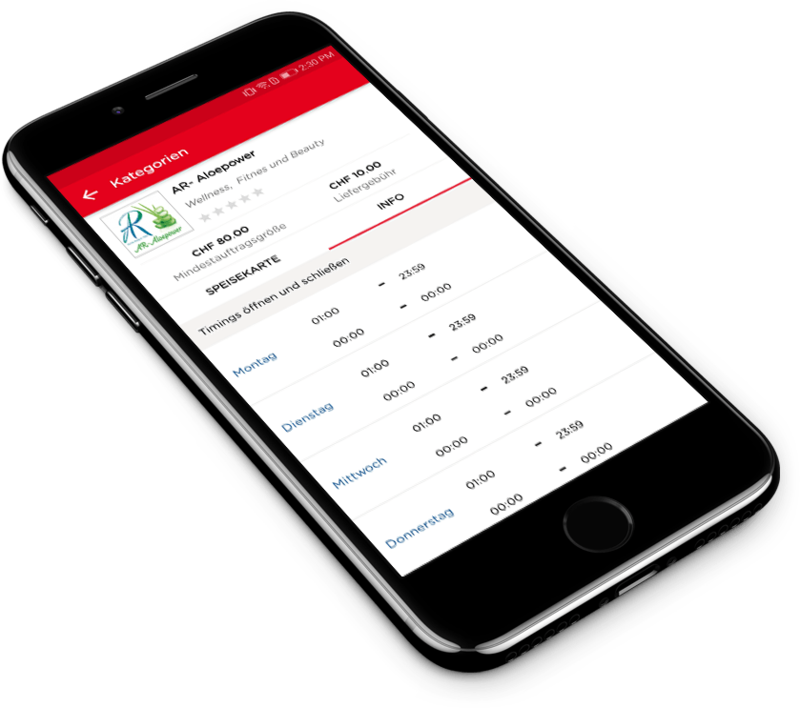 Swiss food delivery operates an online and mobile marketplace for food delivery, providing consumers with a simple and secure way to order and pay for food from local restaurants. It handles several orders a year and has reformed the process of food ordering for more and more customers. 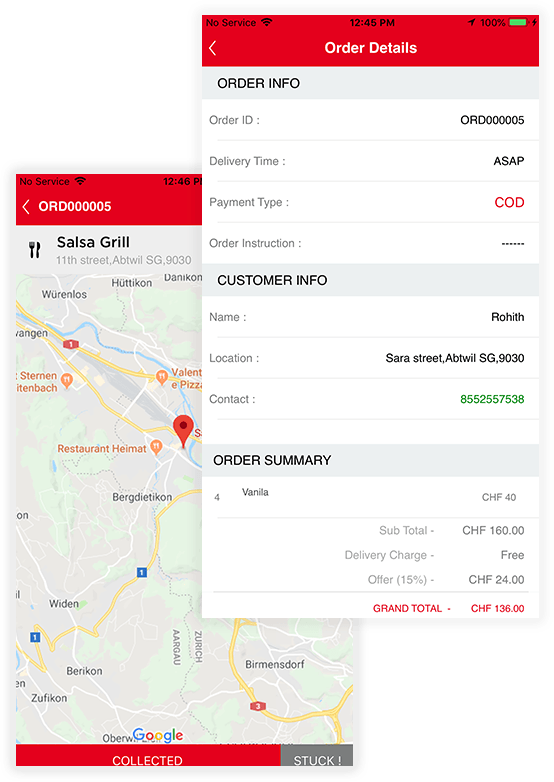 Swiss food delivery merged with Roamsoft helps to order customer's favorite food online and have it delivered to their doorstep in no time. Pick the best restaurants near and find most extensive assortment of foods and appreciate the quickest delivery service. 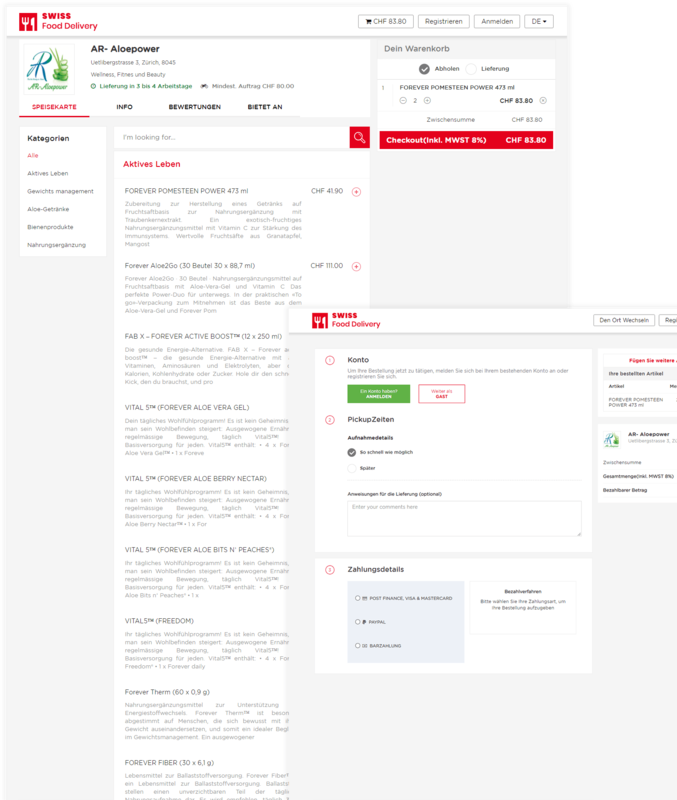 Our wire frames presents the information, gives an outline of structure and layout of the site and conveys overall direction and description of the user interface. 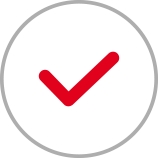 Our prototype allows the user to test a digital product's interface and interactions. 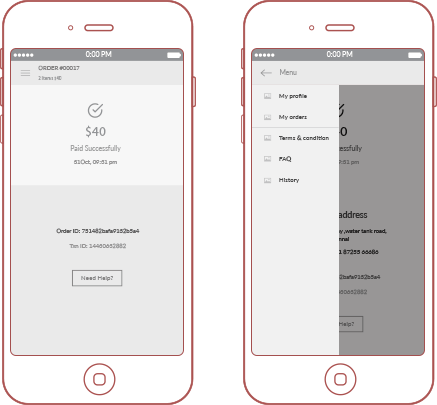 Wireframes present the design concept and the basic function for the clients. Our prototype is dynamic and interactive, high-fidelity prototyping looks almost like the final product. It not only has the meticulous visual design but also provides a complete user experience by simulating the real product interface and functional interaction. Our UX/UI design brings a decidedly left brain component to a digital experience and encompasses the design of products as well as websites. 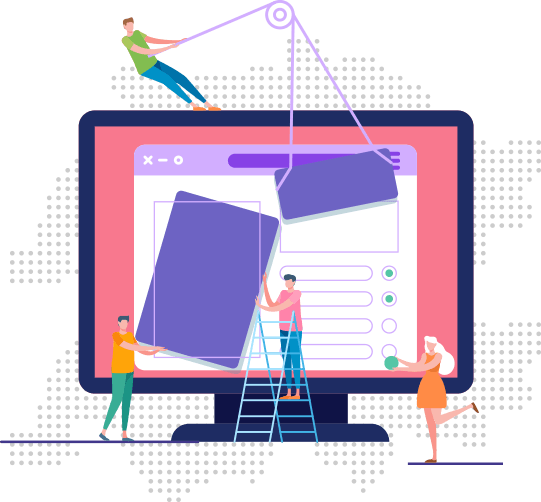 Our talented web designer is focused on the end user's experience and takes it to the next level and applies a specific methodology around the user. 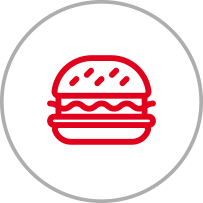 Swiss Food delivery answers its customer's hunger pangs with delicious and freshly cooked meals that are delivered right to the customer's doorsteps. It lets you choose your favorite food from a wide range of options. We develop sophisticated and dynamic mobile apps for iOS and Android platforms using advanced cutting-edge technology and our UI /UX design helps to make the user's interaction as simple as possible and effective.